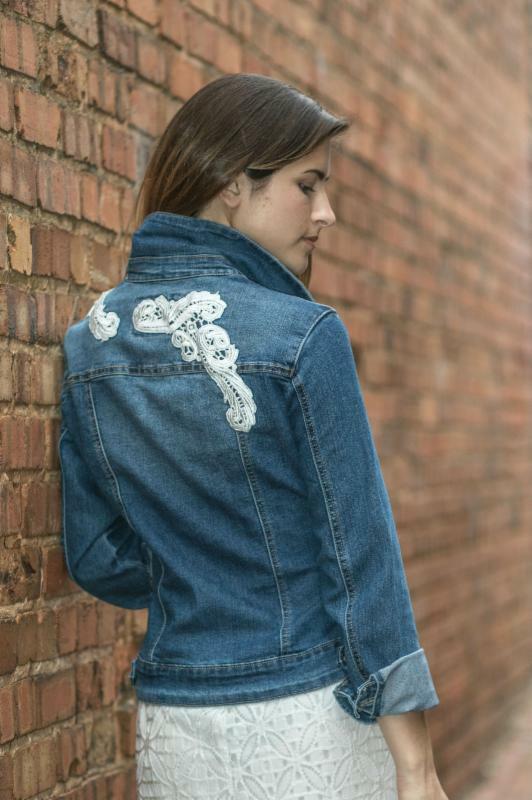 This light denim jacket is perfection, featuring embroidered lace applique design on shoulder and back. Add it to your wardrobe and see the endless style options it brings. Try it with sleeves rolled up for a casual cool, layered look. Also features two front pockets with button closures. Be the first to review “551624” Click here to cancel reply.